The University of Gothenburg has requested the dismissal of a researcher who has been found guilty of scientific misconduct in seven articles. 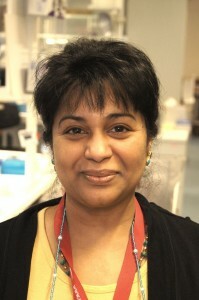 The researcher, Suchitra Sumitran-Holgersson, is “guilty of research misconduct through intentional fabrication, falsification or suppression of basic material and deliberately abandoning good scientific practice in seven of the reviewed articles,” according to a press release from the University of Gothenburg (GU). Sumitran-Holgersson continues to insist any issues were the result of “unfortunate errors,” not misconduct. initiated a labour law process against the professor, and asked that the National Disciplinary Offences Board (Statens ansvarsnämnd) examine a request for dismissal. My reaction to the verdict is that I take the full responsibility for a number of unfortunate errors, but that I unequivocally deny that any of these mistakes were willful or have improved the appearance of the papers in question. It is as yet too early to foresee which consequences the decision from the vice-chancellor may have. I am happy to note that my co-authors were not criticized. Research misconduct is a very serious matter, and of course nothing we want to occur at our institutions. It is therefore important that misconduct is discovered, and that it has consequences for those responsible. Some of Sumitran-Holgersson’s work described a procedure that should be familiar to readers for another reason — a trachea transplant seeded with the patient’s own stem cells, associated with another researcher who has also been found guilty of misconduct in Sweden, Paolo Macchiarini. In one now-retracted paper, Sumitran-Holgersson and her team report that a patient died from cardiac arrest following the operation. Sumitran-Holgersson has been under investigation for years, after PubPeer users raised concerns about several of her articles. Last year, GU concluded that Sumitran-Holgersson and one of her co-authors had failed to follow proper ethical procedures in two papers. The latest verdict responds to additional allegations of research misconduct. Earlier this year, an external probe determined that eight of Sumitran-Holgersson’s papers contained signs of scientific misconduct. The ethics panel, part of Sweden’s Central Ethical Review Board, also found evidence of problems within her laboratory environment. Fetal liver-derived mesenchymal stromal cells augment engraftment of transplanted hepatocytes. Cytotherapy (2012) 14:657-669. Cited 22 times, according to Clarivate Analytics’ Web of Science. Recellularization of acellular human small intestine using bone marrow stem cells. Stem Cells Trans. Med. (2013) 2:307-315. Cited 17 times. Phenotypic and in vivo functional characterization of immortalized human fetal liver cells. Scand. J. Gastroenterol. (2014) 49:705-714. [Corrected in 2016] Cited 3 times. Isolation and characterization of human primary enterocytes from small intestine using a novel method. Scand. J. Gastroenterol. (2012) 47:1334-1343. [Corrected in 2016] Cited 15 times. The tweet (apparently by you), to which the “hat tip” acknowledgment links, links in its turn to what certainly appears to be the Swedish original of the English-language “press release from the University of Gothenburg (GU)” linked to in this blog post. Do you wish to distinguish your publishing your tweet to the world (including the editors of Retraction Watch) from “supply[ing] this story to” them? My understanding of the idiom “hat tip” (literally, lifting one’s hat to someone in thankful acknowledgement for some act of theirs) doesn’t support such a distinction. Thanks for your comment. We hat tip people who tweet items we pick up (linking to the tweet), as a way to thank them even if they didn’t send it to us directly, since it’s public. But we’re happy to remove it, at your request. Previous Previous post: Retracted papers keep being cited as if they weren’t retracted. Two researchers suggest how Elsevier could help fix that.